Toronto is a clean, safe, cosmopolitan city with a wonderful network of parks, recreational, and cultural facilities. Toronto is the home of four professional sports teams and the third largest English-speaking theatre district in the world, behind New York and London. One of the world's most ethnically diverse cities, it is home to more than 80 ethnic communities from Africa, Asia, and Europe. 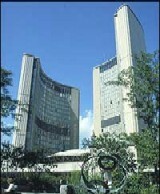 Toronto is also the business centre of Canada. Here are just some of the many Web sites that contain information about our city. Go Transit -Go trains are commuter service to towns around the Toronto area. 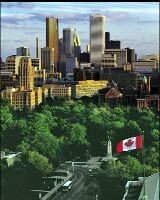 Toronto has many different tourist spots and events happening throughout the city 365 days a year! Below are some of Toronto's hot spots to check out while in the city and include activities for both adults and kids. On Saturday, June 19th the Toronto Symphony Orchestra (TSO) will be holding a special performance of Beethoven's 9th Symphony at 11pm. For more information on tickets and additional performances click here.